Bundles of dried tobacco plants hang from a wooden tobacco stick. 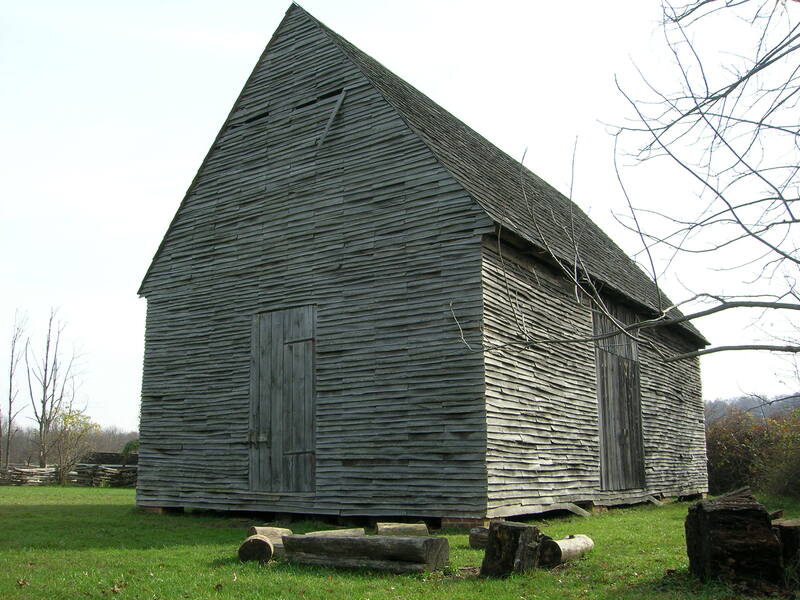 The eighteenth-century tobacco barn on the National Colonial Farm is filled with dry tobacco. 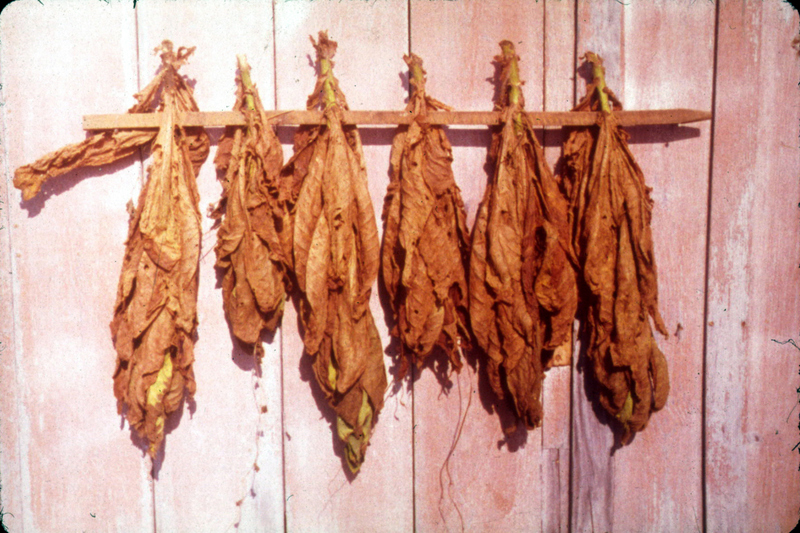 Cut and bundled in the fall, the once-green plants hang down from hand-split tobacco sticks, now brown and weathered. A 1770 spring would have found colonists preparing their tobacco fields for planting. Last season’s dried plants would have already been stripped and “prized” (or pressed) into hogsheads (or large wooden barrels) for shipment across the sea to England. But now that tobacco is no longer this region’s cash crop, our tobacco barns—so essential in curing tobacco and so central to our landscape—have fallen out of use. The National Trust for Historic Preservation in 2004 listed Southern Maryland’s tobacco barns among the 11 most endangered historic places in the nation. Southern Maryland preservationists have worked to refurbish these unique vestiges of our past when possible. The eighteenth-century tobacco barn at the National Colonial Farm. And as for the tobacco sticks? Not worth much, these sticks are now seemingly without use. But the educators at the Accokeek Foundation have discovered a carver in Tennessee who has re-purposed the once-vital tools, turning decades-old Oak and Hickory tobacco sticks into walking sticks. The incredible (and useful!) walking sticks are reminiscent of this region’s history, so closely tied to the land and the tobacco that grew from it. The sticks can be purchased in our remodeled Visitor Center Gift Shop, which will reopen on Saturday, March 5. 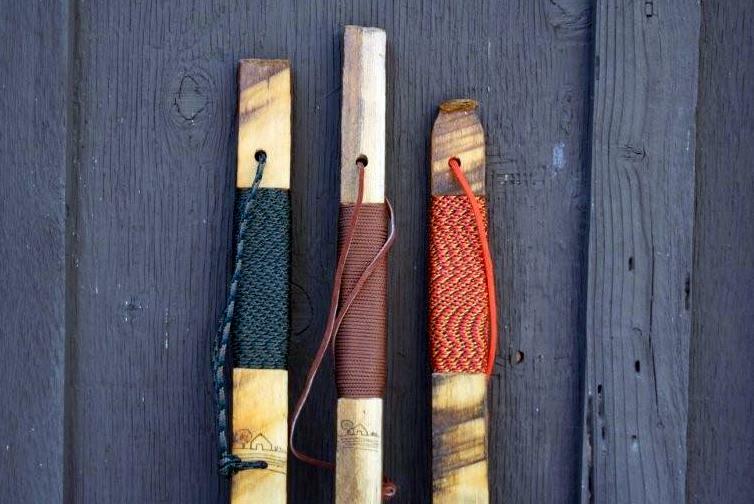 Decades-old tobacco sticks-turned-walking sticks, for sale at our Visitor Center Gift Shop.